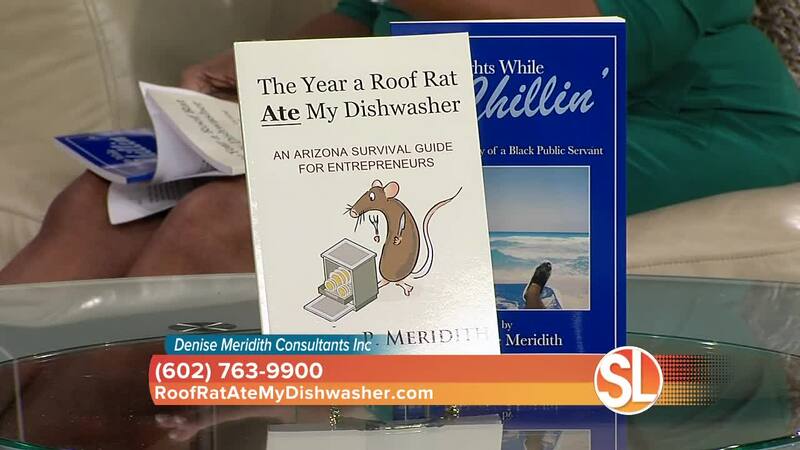 Denise Meridith talks about her humorous new book "The Year a Roof Rat Ate My Dishwasher: An Arizona Survival Guide for Entrepreneurs"
Denise Meridith Consultants Inc is a paid advertiser with Sonoran Living. On February 5, Americans got a second shot at making resolutions. They attended parades in cities like New York and San Francisco and crowded into Chinese restaurants to celebrate Chinese New Year's. This Year of the Brown Earth Pig, which is associated with wealth, runs until January 24, 2020. But that's what Denise Meridith is really waiting for, because that is when Year of the Metal Rat begins. It will be the 10th anniversary of a different year of a different rat; 2010 was the year a roof rat ate her dishwasher. That is just one of the unique experiences the native New Yorker encountered during the past 24 years in her adoptive state. She has written a humorous new The Year a Roof Rat Ate My Dishwasher: An Arizona Survival Guide for Entrepreneurs, which details both the challenges and joys of being an entrepreneur in Phoenix. In Chinese philosophy, the rat is elementally associated with water-the low point of the matter. That year-2010-was during the throes of the recession, definitely a low point, not just for Meridith, but for many entrepreneurs in Arizona and throughout the US. Phoenix and Las Vegas were in a race for the worst impacted city. Arizona has since developed a nationwide image, as a weird state with 120-degree summers, overrun militia people and hordes of illegal immigrants, and frequented by Biblical-size dust storms. Via humorous anecdotes, Meridith dispels many of these popular myths and tracks the progress of Arizona during the past quarter century to its current status as a purple state and Phoenix's as the second fastest growing city in the US. She, herself, is a well-known figure in the state, having been instrumental in numerous projects from the founding of the Greater Phoenix Black Chamber of Commerce and designation of four Federal National Monuments to the planning of Tempe Town Lake and the now-named State Farm Stadium. Her book contains forewords from local heroes, like sports executive Jerry Colangelo, former Arizona Secretary of State Betsey Bayless, and international motivational speakers "Dr. Will" Moreland and Dr. Vernet Joseph. All Phoenix business people and those many people from chilly Chicago and wet Seattle, who winter there or are packing up to move their businesses to Arizona, can get some helpful advice from The Year a Roof Rat Ate My Dishwasher: An Arizona Survival Guide for Entrepreneurs roofratatemydishwasher.com , as well as be entertained by this witty view of the 48th state. It is available on Amazon.com, Kobo and most other online book sales sites.